In the 2015 musical arena, virtual instruments are at the forefront of audio development, however, nothing quite beats the hands-on immediacy and delight of playing a first-rate hardware instrument. The sound quality and features of Technics keyboards are still ‘up there’ with the best and stir high emotions for many people. The longevity and reliability of the wide range of Technics instruments has given us time to explore their features in-depth. Such a wealth of options are available that it takes some experience to become familiar with them. This book helps you to do just that. 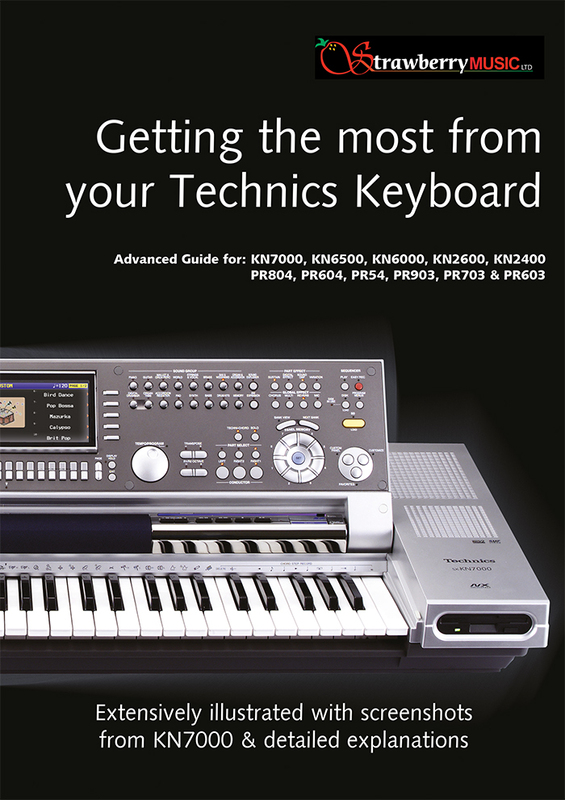 The book was originally written for KN7000 in 2003 but the text is extensive and detailed, the Technics keyboard operating system developed through numerous marques, so it applies to many instruments. Alec’s explanations are as precise and relevant today as they were in 2003, an eminent achievement. Includes Phil Leader's original Foreword. Mike has extended the text in this 2015 version in detail, to cater for a wider range of instruments and to add useful tips that will save you time. All of the additional text is coloured blue, so that you can differentiate between the 2003 and 2015 edits. 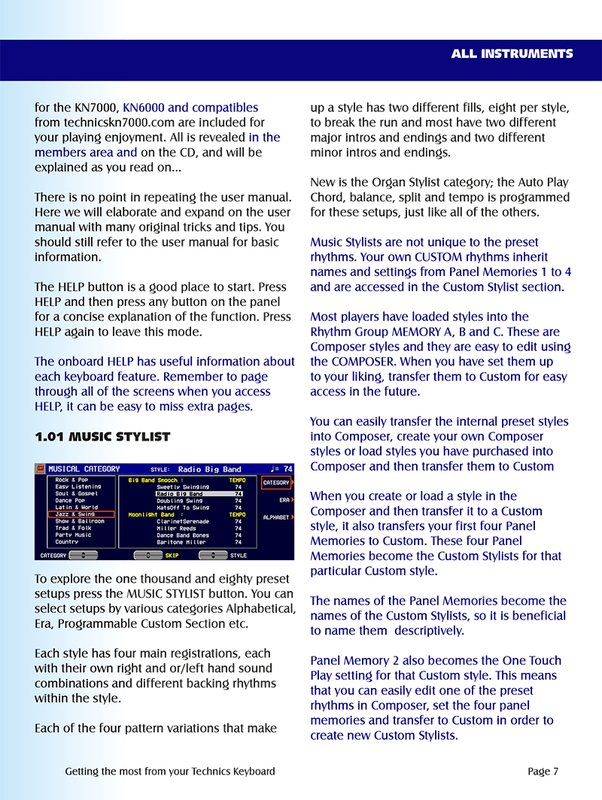 We hope you enjoy this new version and it helps you to get the most from your Technics instrument. In 2003, the cost of printing a single high-quality volume was unthinkable. A 1Gb SD card was over £200 and the price of a KN7000 was around £2100. At the time, Technics keyboards were streets ahead of the competition. Through the intervening decades technology has advanced rapidly and digital publishing is now a reality. Your book will be printed within hours of receiving your order. 1Gb SD Cards are now available at ‘pocket money’ prices, whereas the KN7000 still sells for around a third of its original retail value. An incredibly low level of depreciation! 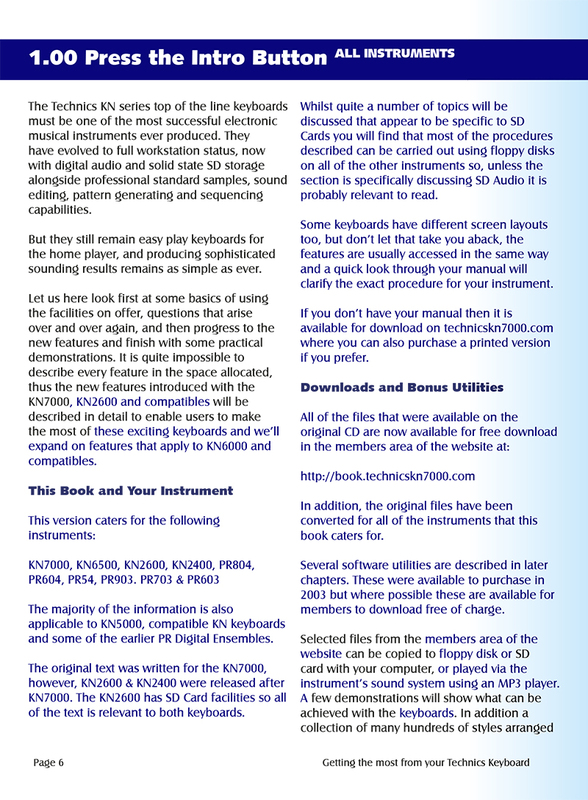 Additional information, Technics Styles, Technics Files, Software, Special Offers and other downloads. These Styles and Resources are not available elsewhere! Only in the Special Members Area! Register your interest in the book and we'll send you early notification of the publication date.